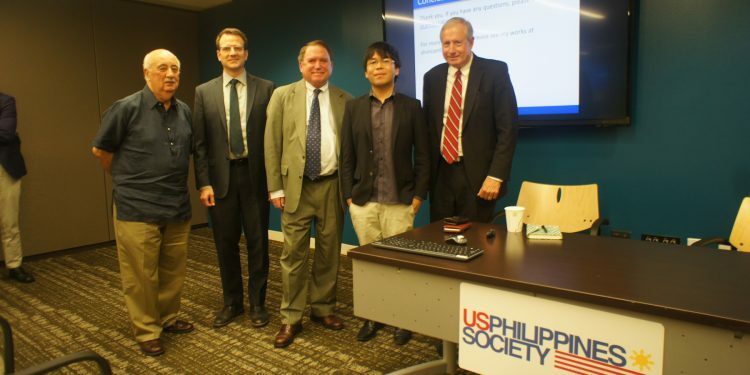 L-R: Ambassador John Maisto, Brian Eyler, Ambassador Tom Hubbard, Alvin Camba and Hank Hendrickson who moderated the open forum. 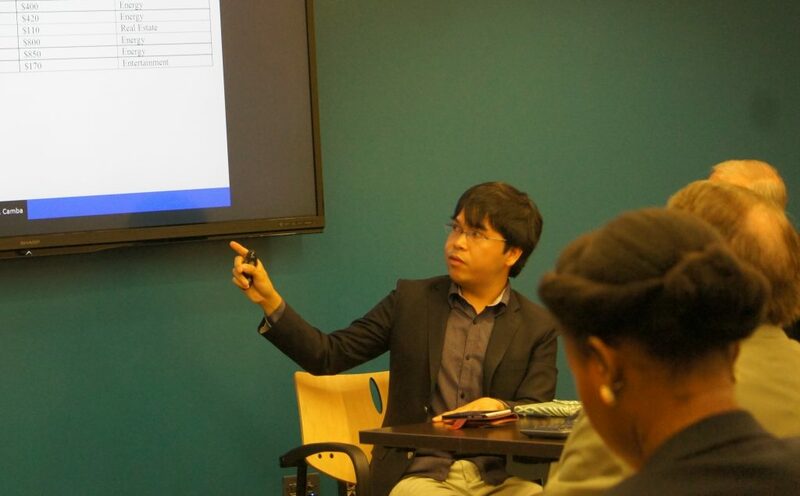 Washington, D.C. – PhD candidate at Johns Hopkins University Alvin A. Camba was the featured speaker at a July 26 presentation, “China’s Belt-Road and Philippine ‘Build Build Build!’ Infrastructure Priorities,” held at the Stimson Center, Washington DC. Camba examined the recent record of Chinese foreign investment in Philippine infrastructure. Of the 30-35 potential infrastructure projects under the Duterte administration, he focused on five key project priorities and offered policy recommendations based on quantitative analysis, extensive field research and official interviews. Camba argued that China’s foreign direct investment in the Philippines comes at a time of improved bilateral relations and reflects the Duterte administration’s priority on building infrastructure. During the Arroyo administration, successful projects, such as the General Santos Fishing Port expansion were completed, while a combination of factors led to the cancellation of a major ZTE National Broadband Network project. After the Aquino administration mounted a legal challenge to China over South China Sea claims, Beijing put a halt to new development projects. With an eye on China’s Belt and Road Initiative, and warming relations, President Duterte pursued a new approach. During his 2016 visit to Beijing, he received $24 billion in investment pledges to complement the administration’s massive $183 billion five-year Build Build Build program. Camba cited several Philippine priority infrastructure projects to be funded by China’s main banks, including the Export-Import Bank of China and China Development Bank. In April 2018, the Duterte administration signed a $62 million loan agreement for the Chico River Pump Irrigation Project in Northern Luzon with 2 percent annual interest maturing in 20 years and a 7-year grace period. A grant with zero interest loans for four Philippine bridges valued at $73 million was also recently inked. Other projects in the pipeline are under study, including a North-South Railway Project through Luzon. The Kaliwa Dam Project also in Luzon has passed bidding, with stakeholders and Chinese developers currently in consultation. Camba observed that generally there is a 5:1 ratio of OEDC pledges to actualization of investments. For China, Camba cited a Palgrave study that finds a 10:1 ratio. Of the $24 billion in pledges received by the Duterte administration in Beijing, $15 billion were negotiated between private businesses that have been modified or cancelled. Camba noted that negotiations have stalled on some hard to implement projects, including rail networks. There is more optimism over prospects for flood control, roads, ports and airports that have wide benefits. Camba discussed a debt trap crisis that has plagued high risk countries and can lead to defaulted loans. In a debt trap, easy loan terms have attracted countries with weak institutions. Overwhelmed by spiraling debt service and low growth, the host country eventually loses control of collateral assets to the lender. However, Camba pointed to the upside when foreign debt is managed well by low-risk countries such as the Philippines that should be able to avoid the trap. Underpinned by continued strong macroeconomic fundamentals due to structural reforms begun under Aquino, the current administration’s economic team is well-positioned to balance growth and the debt to GDP ratio. Moderate inflation and fiscal deficit will rise due to increased spending for much needed infrastructure improvements. 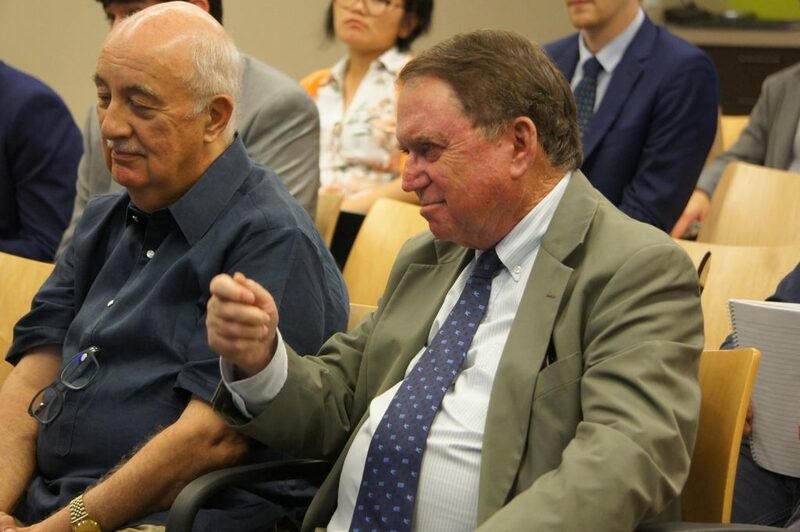 In conclusion, Camba said he would like to see pragmatic engagement with China under terms that comply with international standards of transparency and the rule of law. He commended the administration for keeping its funding options open and diversified. Of 40 approved Philippine projects in 2016, most were funded through JICA and ADB. He also recommended the establishment of a new and independent Belt and Road Initiative Review Board for the Philippines. He further stated that a review of policies by international development banks that aim to expedite the project funding process will make the banks more attractive alternatives. 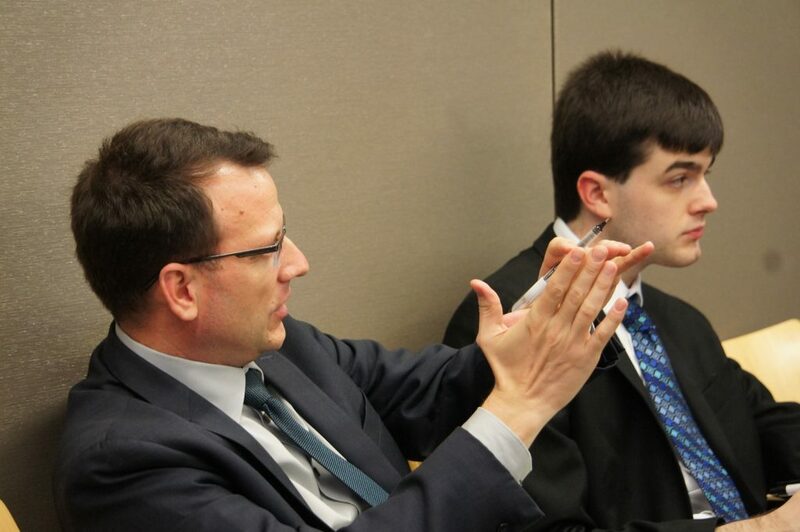 During the open forum attended by representatives from the US government, policy institutes, diplomats and members of the US-Philippines Society, Camba fielded questions related to ecological and environmental standards required by Chinese banks, inter-bank collaboration in the example of a German-led consortium to fund and manage the Biomass Electric Power in Negros, transportation project priorities and the bidding process. In his closing remarks, US-Philippines Society President Ambassador John F. Maisto expressed appreciation for Camba’s presentation and recognized his extensive research into an important, timely and complex economic topic. 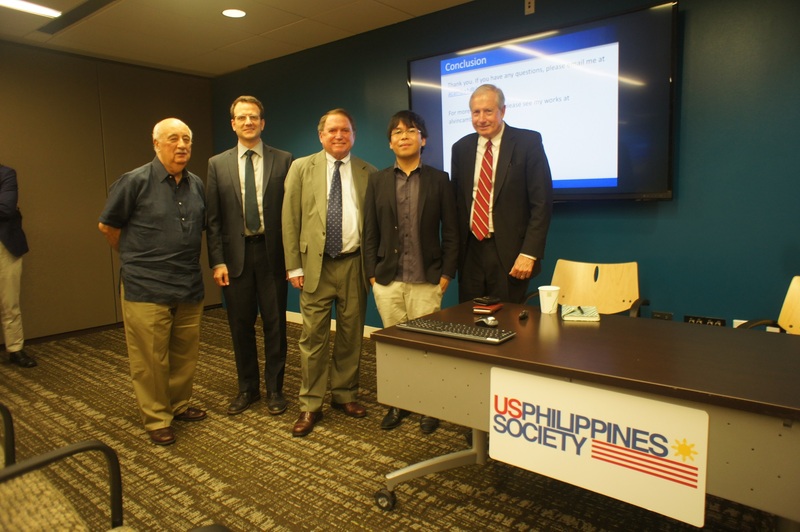 The event was co-sponsored by the US-Philippines Society and the Stimson Center’s Southeast Asia Program under Brian Eyler.